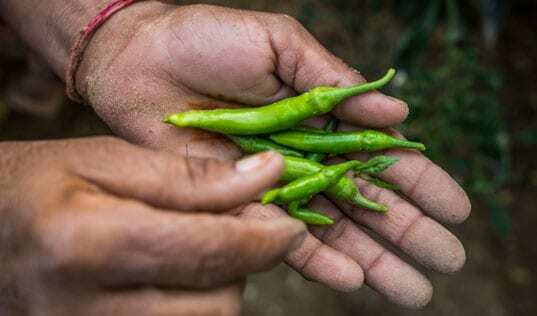 This post was originally published on The MasterCard Foundation's blog. 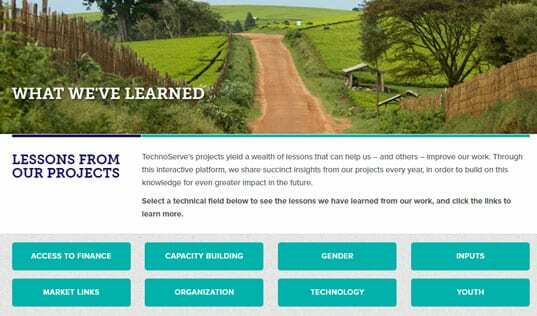 TechnoServe is partnering with The MasterCard Foundation to help rural young women and men in East Africa transition to economic independence through the Strengthening Rural Youth Development through Enterprise (STRYDE) program. Maria Kayinza’s store in Mukono, Uganda. 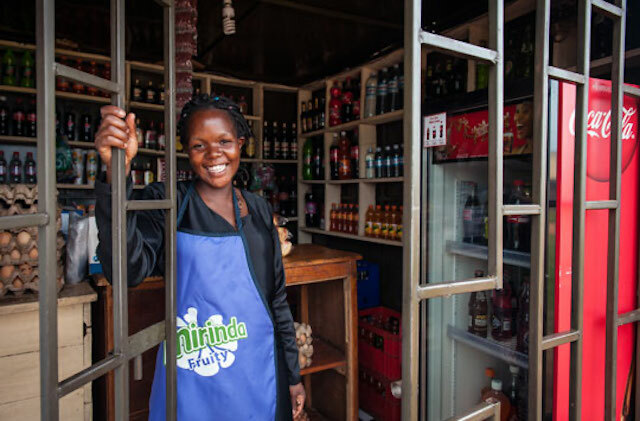 On a dusty road outside of Mukono, Uganda, is 25-year-old Maria Kayinza’s store. The store is immaculate – bottles and packages that are neatly stacked and evenly spaced line its walls. Maria is one of 15,000 young people in Kenya, Rwanda and Uganda who have received training and support through TechnoServe’s STRYDE program. The program is creating employment and entrepreneurship opportunities for out-of-school young people by providing them with comprehensive training, focusing on life skills and financial literacy. 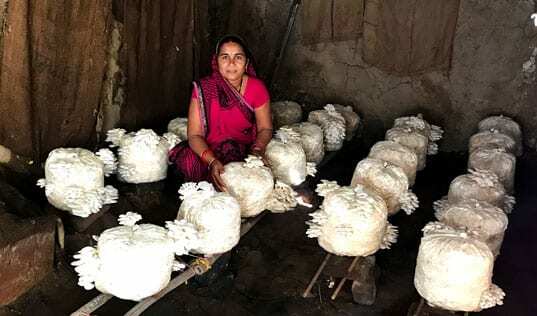 When asked about her store’s success, Maria said she created the business plan that helped her open the shop and detailed how she manages her budget – skills she acquired through the STRYDE training. The training also provided her with a better understanding of how to run a business and grow her customer base. Maria said the business has been very successful since it opened six months ago and is providing her with a reliable source of income. When asked about the key to her success, she spoke about the pineapple drink that only she can make. “I never thought I’d be able to start my own business. But now many customers are coming here,” she says. Sebastian Migadde is raising pigs to save money to open a pharmacy. 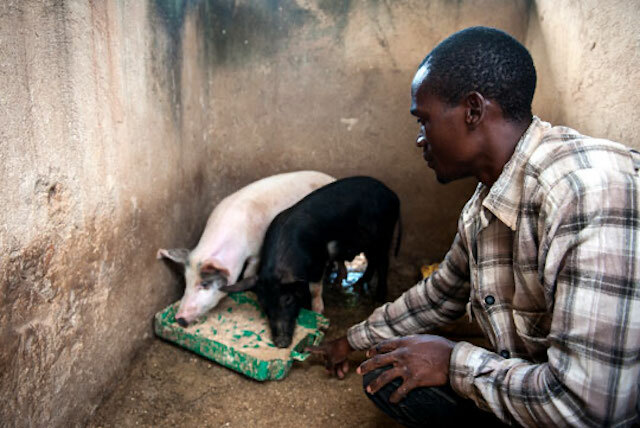 Sebastian Migadde, a young pig farmer in Kayunga, Uganda, also received training and support through the program. Sebastian spoke about his lifelong dream to open a pharmacy. Raising pigs has allowed Sebastian to save his earnings in a bank account. Each month, the profits from his business bring him closer to having enough start-up capital to open his pharmacy. He said his STRYDE training has also benefitted his brother.